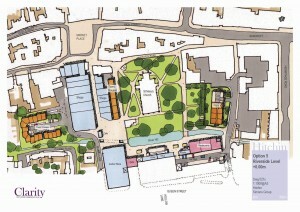 Hitchin Committee met on January 8th and discussed the latest plans. They had received a special briefing from Simons and had received comments from their electorate. They reflected on the time that it has taken for Simons to make any progress, that the original timetable had been completely lost, giving no confidence that projections for any work on the scheme would be kept to, that the financial situation has deteriorated from when the previous plans were shown, and so there is even less reason to believe it is viable. It was also remarked that the reason given by council officers for not accepting the members view that an extension should not be given last December was that the Chancellor’s Autumn Statement might change the sums. Nothing has emerged from that Statement which seems to have any relevance to Churchgate. Since this is the last meeting of Hitchin Committee before the Full Council meeting on 31st January 2013, where a decision will be made on the request by Simons for an 18 month extension to the “First Cut off Date” in the Development Agreement, it is considered appropriate for the Hitchin Committee to indicate its views on Simons’ request based on the information received to date. Such information has been received by way of detailed briefings from Simons, some of which has been displayed to the public and feedback obtained. Councillors have also received many emails and phone calls from members of the public. On the basis of the information before us Hitchin Committee considers that Simons appear to be no further forward than when they signed the Development Agreement almost 3 years ago. Resolution : On the basis of information before it Hitchin Committee believes most strongly that no extension should be granted to Simons at the Full Council meeting to be held on 31st January 2013. Afterthought In an almost poignant scene afterwards, during his regular report to the Committee, Town Centre Manager Keith Hoskins mentioned the phased withdrawal of council funding for Hitchin Initiative. 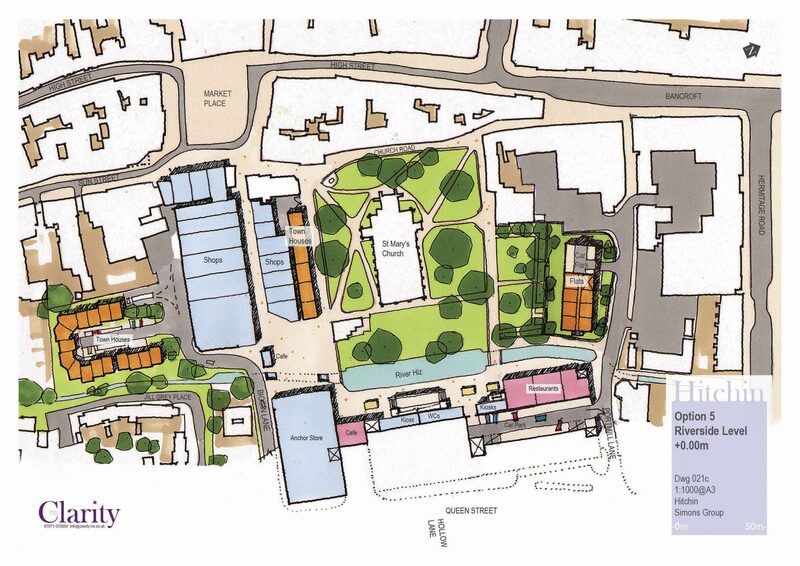 He then discussed the need to apply for additional planning permission to incorporate a second shop in Brand Street into the Town Hall redevelopment scheme (this would create a better entrance area and extra storage space for the Museum Service, so the Museum Service would not need to use the area behind the stage in the main hall for storage. This in turn means the current depth of the stage and changing rooms can be maintained, something the community has campaigned for). This application would cost £3850, funds they do not have, and he was hoping that the Hitchin Committee would support a future request for a grant toward that. It is difficult to imagine that the Council might be seduced into supporting a development scheme of uncertain viability to the tune of £2.1M, but might find it difficult to support such a successful and valued local town centre management.